“I am both pleased and concerned. “On the one hand, this is the first time in the last five years that the judicial branch has not suffered additional cuts. It’s the first step in the long road to restoring funding to our judicial system. I respect that the Governor and Legislature have challenging choices to make in balancing the state budget, and I am especially encouraged that the Governor and Legislature have listened so carefully to our concerns and the concerns of others who spoke on our behalf. 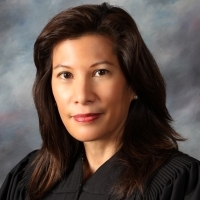 I very much appreciate the advocacy of the Judicial Council and all those within the branch—the justices, judges, court administrators, attorneys, the Bench Bar Coalition, the California Judges Association, the state bar, the Open Courts Coalition, and other advocacy groups—all those who recognize the need for a cohesive and coherent message in advocating for the public’s access to justice. “On the other hand, we have a long way to go. In the last several years, about $1 billion in General Fund support has been taken from the judicial branch, and the courts are still struggling with a net budget reduction of almost a half billion dollars. And we are out of one-time solutions and funding transfers to blunt the impact of such massive budget reductions in the future. Although the extra $63 million for the branch in this year’s budget allows us to start rebuilding, it may not be enough to reopen courts that have closed. It may not be enough to bring back court employees who have been laid off or to stop ongoing furloughs for many court employees. And it absolutely won’t be enough to provide the kind of access to justice the public deserves. We need fuller restoration to the branch budget so we can adequately serve the public. We need to keep our courts open. We need safe and secure courthouses. And we need more judges in areas of the state that have been underserved for many years.